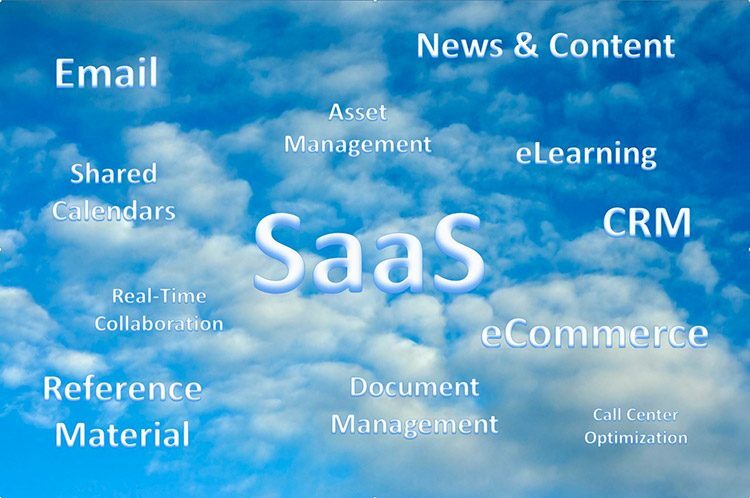 Software-as-a-Service (SaaS) has become the de facto way that works gets done. Salesforce, Google Docs, Cisco WebEx are noted examples, respectively, of common CRM, word processing and meeting facilitation services powered by SaaS technology. Regardless of the size of your enterprise, you likely use these and more to handle the mission-critical, the mundane tasks—and everything in between—for your business. We all rely on SaaS services, but do we really know what we’re getting in terms of service level agreements (SLAs)? Uptime levels of 99.9% mean nothing if the service is so slow that your salesperson can’t access that critical file right before the big presentation or if your inventory manager can’t easily answer a customer question about when his package will arrive. What SLA metrics are important to you? Is it uptime? Speed? Number of simultaneous users? Security? Storage? Dynamic allocation of resources? Make sure the metrics are clearly spelled out in your contract with the provider. Uptime, for example, is pointless if half of your users can’t access the system at any given time. So think beyond the topline metric to uncover what performance standard you’re really looking for. If you’re storing critical company information such as finances, sales and inventory data, the host’s redundancy and backup plans are important considerations. The best uptime rate means nothing if a failure causes you to lose access (even temporarily) to your information. You need to think about security, too, especially if you deal with electronic personal health information (ePHI) that’s subject to HIPAA privacy and security regulations. Healthcare data breaches increasingly are in the news, and your business could be potentially liable if the ePHI you store on a vendor’s servers or in the cloud becomes compromised. You should ensure that your providers have the necessary certifications from recognized accreditation agencies. Will your company be the SaaS provider’s largest or near largest client? If so, require the vendor to show you reports that prove that they can meet your SLA requirements. If they can’t prove it, you’ll have to. Don’t just go live and keep your fingers crossed. As you know, changing software systems is fraught with challenges, including from employees who are resistant to any change. Don’t give them a bad experience with new software because you failed to perform due diligence. Remember, your customer experience is your responsibility.If you’re not the SaaS vendor’s largest customer, find out who is. Contact them and query them closely about their experience. What does their SLA look like and how does it compare to the boilerplate version that’s offered to everyone else? Does the service meet their needs? Did it do so from Day 1 or was there a period of pain and adjustment before they truly got what they needed? Any SaaS vendor who truly wants your business should provide customer contact information. Don’t let them hide behind confidentiality smokescreens. If dynamic resource allocation is important to your deployment, find out what “dynamic” means. Does it mean automatic and in milliseconds or manual and once per day? Or once per week? Finally, think about load testing. Can your potential SaaS provider handle your user base in addition to its other customers? If your provider can’t provide load test results, you may want to load test it yourself. Even if the vendor can handle your user load, inefficiencies in your architecture could be costing you money, depending on how you’re paying for your SaaS service. A load test can give you those answers. Here at Provare, we currently have a client who chose a mission critical SaaS solution without asking some of these questions. They will be the SaaS provider’s largest client by far. And while we will probably be able to help them work through many of the challenges of getting this service ready to deploy, it will take a lot longer and will be much more expensive than it would have if they had involved us before they made the decision. It goes without stating that you have a lot more leverage with a prospective provider before they have your signature on a contract than you do afterward. If you’re going with a popular SaaS solution that already has millions of other users and you’re only adding a few thousand for a non-mission-critical function – and especially if you’re using an “off the shelf” solution with no customization – you’ll probably be fine. But if you’re doing significant customization, or if the solution will be mission critical for your business, or if you might be one of their largest customers, then you really need to take your time and make certain that they can meet your needs. And if you need a partner who has done this before and will act as the enforcer of your requirements, give us a shout.